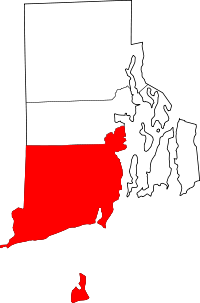 In Washington County, Rhode Island, vital records are preserved either by the state office of vital records (http://www.health.ri.gov/programs/vitalrecords/index.php) or at the individual city and town clerks office. At the state level, copies of vital records cost $20.00, with additional copies costing $15.00 each, payable by check or money order to General Treasurer, State of Rhode Island. Birth records are confidential for 100 years, while death records become public after 50. All requests must include either a photocopy of a valid government-issued picture ID or two pieces of mail showing the applicants name and address. A list of town/city clerks can be found at http://www.health.ri.gov/records/about/clerkoffices/index.php.